Starting in February, the College of Arts and Sciences is launching a semester-long celebration of the arts and humanities with marquee events, a series of speaker presentations and panel discussions, all culminating in the grand opening celebration for its new humanities building, Klarman Hall, on May 26. The events will highlight emerging areas of research and scholarship in the arts and humanities and showcase the college’s diverse faculty. They will also explore intersections of the arts and humanities with the sciences and social sciences at Cornell. ​Although “Eumelio” was performed a handful of times in Europe, it has never been performed in America, Miller said. 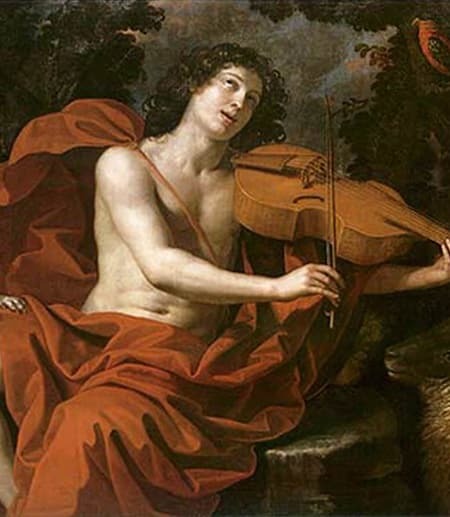 The interdisciplinary effort for “Eumelio” includes the Cornell Early Music Lab, Cornell Chamber Singers, the departments of music, PMA, Romance studies, English and Classics and the College of Architecture, Art and Planning. Music Professor Neal Zaslaw serves as artistic advisor. A coproduction between Yale Repertory Theater and the La Jolla Playhouse in San Diego, Vogel’s “Indecent" debuted in New Haven last October, moved west for its official premiere and will open at New York City’s Vineyard Theater in mid-May. The College of Arts and Sciences has launched a webpage dedicated to the New Century for the Humanities celebration that will feature the events and highlight many of the broad themes of the college’s intersecting arts and humanities research, scholarship and creative works — including sustainability; inequality; mind; new media; sound studies and technology in the humanities. Numerous other humanities and arts events will also take place during the celebration including a celebration of the 50th anniversary of the Society for the Humanities, which will feature a lecture by Bro Adams, director of the National Endowment for the Humanities and the 70th anniversary of the Department of Asian Studies. The Klarman Hall dedication will be the capstone event, featuring the release of a commemorative poem written by Lyrae Van Clief-Stefanon, associate professor of English; various speakers, performances and presentations; and the installation of a time capsule containing items from faculty, staff, students and alumni. “Klarman Hall is a promise from the College, the University — and our alumni — that the arts and humanities will remain a central part of a Cornell education and that Cornell will continue to play a major role in humanities education and research throughout the world,” Ritter said.